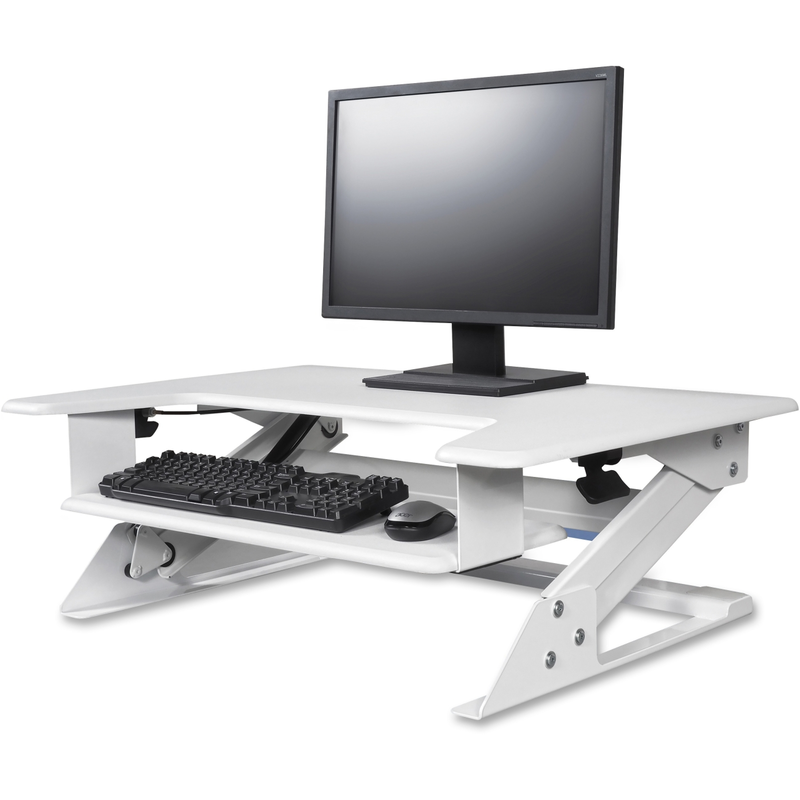 Transform your desk into a versatile ergonomic “Sit to Stand” system, for the healthful benefits and productivity of working while standing; sits right on top of desk. 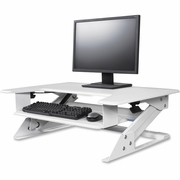 Advanced gas-assisted lift system for continual range of height adjustment up to 20” off the desk. Fully stable at all height positions. Large 35 1⁄2” platform holds two 24” monitors. Minimal intrusion into the workspace and floor space. Repositionable keyboard tray for optimum comfort. Grommet hole to mount optional monitor arms for single and double monitor.